GALVESTON, TEXAS/USA - MAY 8: Buildings in Galveston Historic District on May 8, 2013 in Galveston. 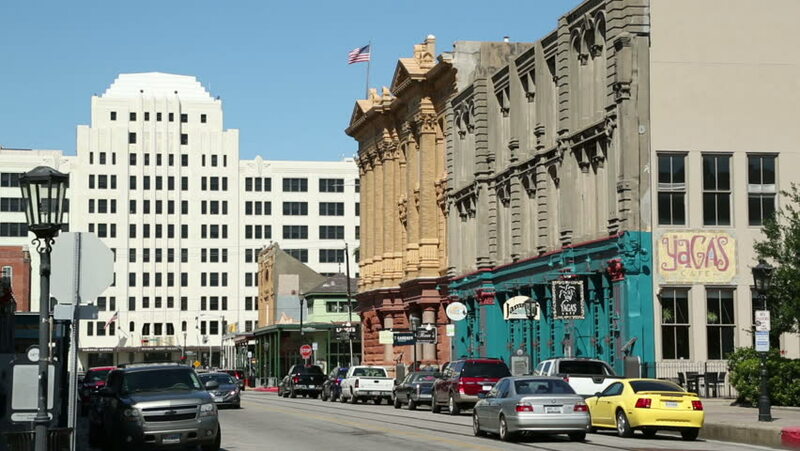 The Strand District consists mainly of Victorian era buildings. hd00:26FRANKFURT - OCTOBER 14: Frankfurt am Main street with a tram on October 14, 2014 in Frankfurt, Germany. It's the largest city in the German state of Hessen and the fifth-largest city in Germany. 4k00:15Tallinn, Estonia - MAY, 2015: Old Tallinn. Architecture, old houses, streets and neighborhoods. Shot in 4K (UHD)), so you can easily crop, rotate and zoom, without losing quality! Real time. 4k00:14ISTANBUL - APRIL 02, 2015: Tram and vehicle traffic during the rush hour in Fatih part of Istanbul April 02, 2015 in Istanbul, Turkey.